The Obsolescence Project began as a 30-day blog pursuing the notion of obsolescence. It evolved into a year long quest to document obsolete things (real, imagined, or metaphorical) every single day. Read more about the blog here. 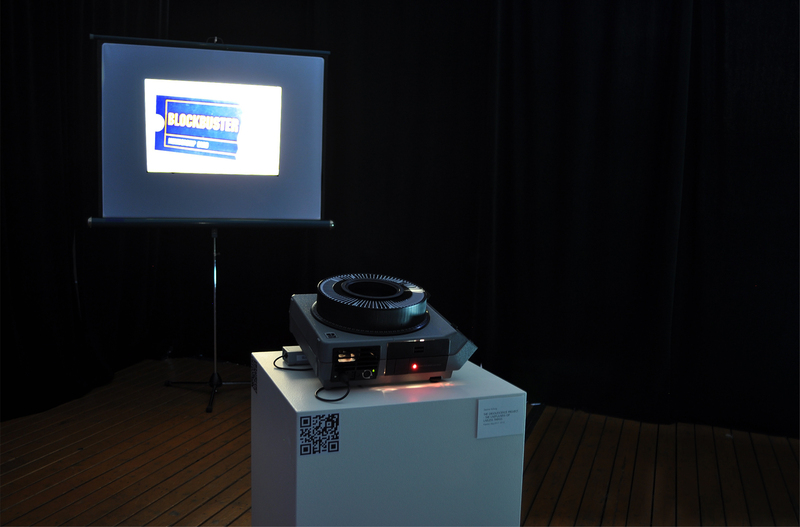 Last year I presented this work as part of ISEA, in what might be called a counter-point approach. ISEA (Founded in the Netherlands in 1990, ISEA International (formerly Inter-Society for the Electronic Arts) is “an international non-profit organisation fostering interdisciplinary academic discourse and exchange among culturally diverse organisations and individuals working with art, science and technology. ” In short, a super high-tech annual symposium, where the word electronic is significant. 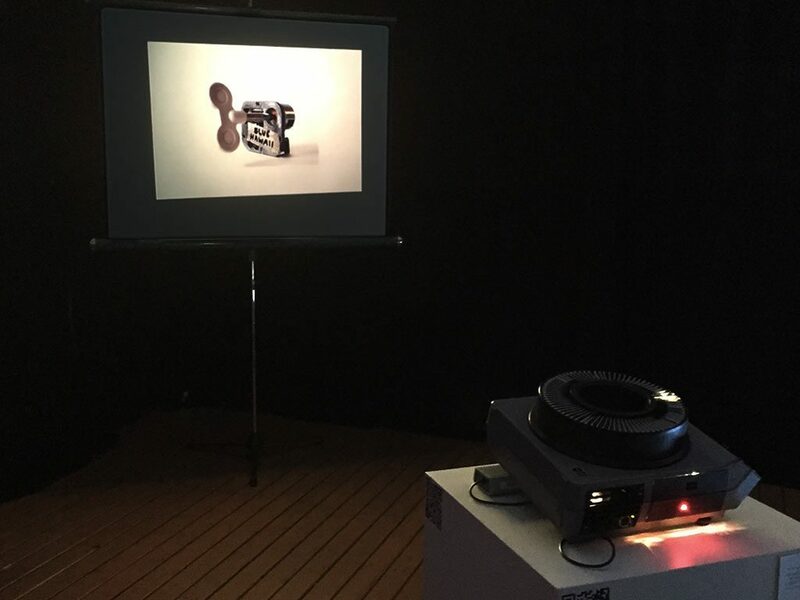 This project made use of obsolete tech: a 35mm slide projector, an aging beauty of a slide screen, to project 30 slides — taken from the blog and converted to 35mm slides — in an auto-rotation. 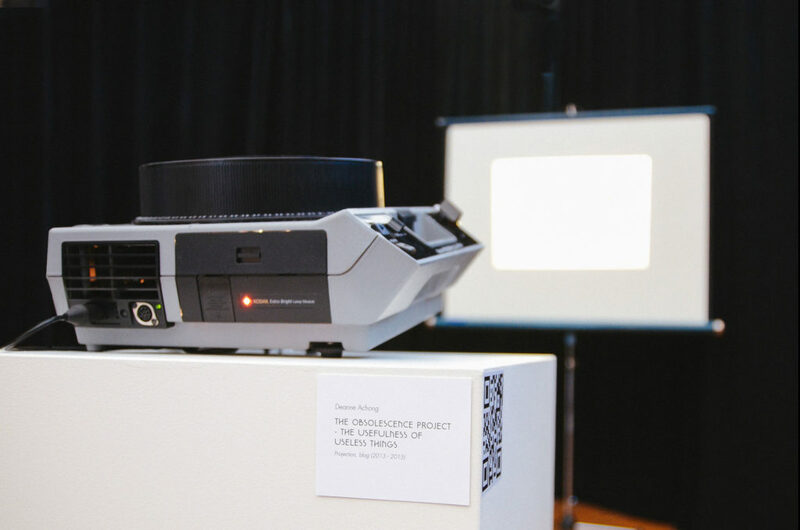 There was a bit of “modern” tech, in that the white plinth hosting the analogue machine had four QR code stickers beside it, which linked to the posts about the 30 days being projected. The whirring sound and clicks are all part of the antiquated aesthetic. 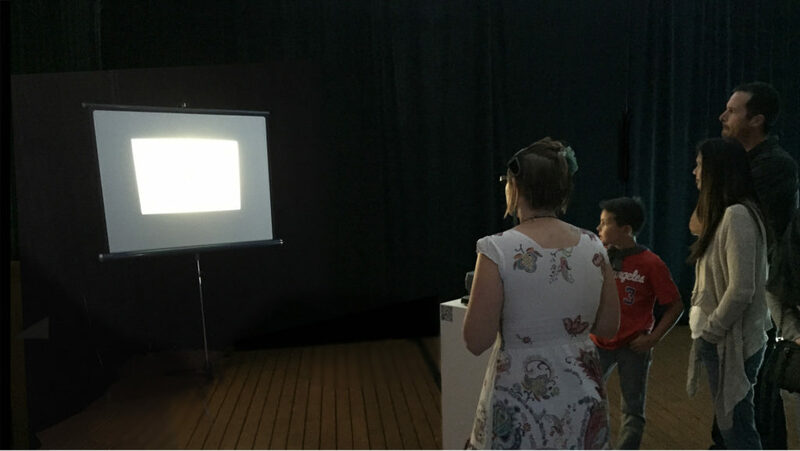 ISEA 2015 — Disruption — was co-produced/curated by Kate Armstrong and Malcom Levy, Artistic Directors. The VAG section of the exhibition was co-curated by Deborah Turnball Tillman. Thanks to Matt Smith, Technical Director, Vancouver Art Gallery and to Carey and Jay Dodge of Boca Del Lupo, for the loan of the exquisite screen.